For companies looking for more spray operators, the On-Site Spray Operator Training is the right choice. 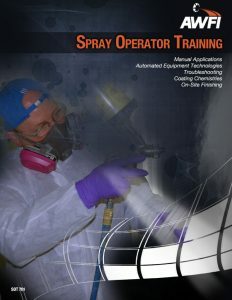 Round up your new and existing finishing crew to experience hands on spray operator techniques and procedures. Questions? Use the form on the left or call (888) 840 – 2934 to get started. AWFI has successfully implemented customized solution packages to all sized shops and production facilities. We would be happy to provide you with a list of companies as references in addition to our testimonials.